I have a notebook full of quotes. I took these three from a random page I turned to, today. I love such insightful quotes that blows my mind away!! 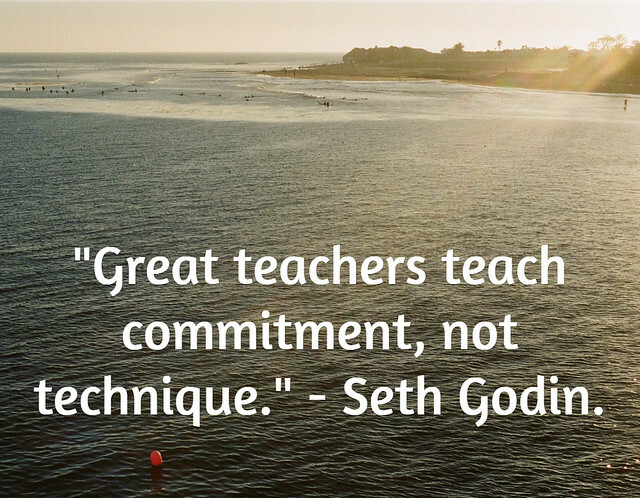 “Great teachers teach commitment, not technique.” – Seth Godin. 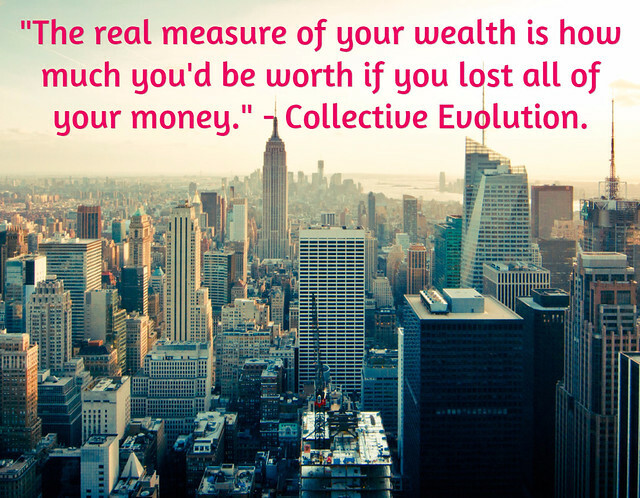 “The real measure of your wealth is how much you’d be worth if you lost all of your money.” – Collective Evolution. “The enemy is fear. 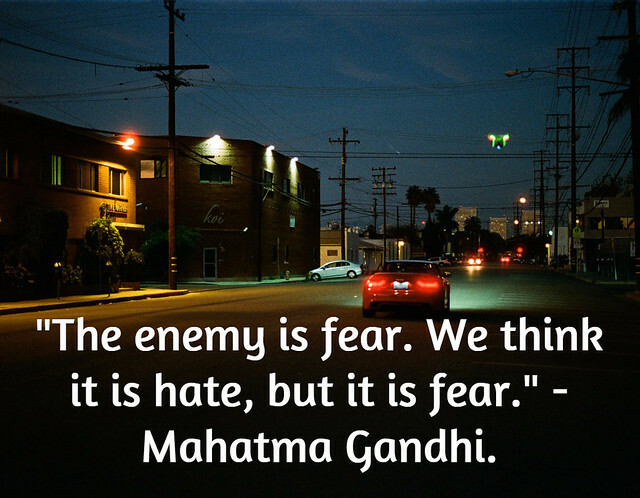 We think it is hate, but it is fear.” – Mahatma Gandhi. I was tagged by Shilpa, Ramya, Sulaiman, Madhavi to take up this quotes challenge. Actually, I was supposed to publish three quotes on three different days as per the rules, but the rules-hater that I am 😉 I chose to publish all three in one post itself! I am now tagging the following people to take up this tag: SM, Sandhya Maami, SG, Jeevan, KP, Locomente, Manogna, Rachna Chhabria, Rajalakshmi, Avada Kedarva, Nandini. That’s my favorite too. It made me think for a long time and conclude that it’s a gem of a quote! These 3 quotes are beautiful and profound. Thanks for nominating me. As you know, I am already participating in this challenge. Yes. I love that so much wisdom is contained in so few words! Very true quotes with great significance! Nice thoughts to share; each is too deep in meaning, if only we could understand. Sometimes, interpretation of quotes differ based on our thought-patterns, beliefs, etc. I see many people doing this challenge. All your quotes are very good. Will try to do this! Wooo..I am tagged in the challenge. I will post a quote soon. I loved the second quote the most. This tag is interesting. I will take it up soon. Thanks for nominating me DI. The power of expression personified and as stunning as the people who uttered them! I specially liked the third quote. We use all sort of excuses to pass on the blame, but its actually just fear. I’m a fan of quotes too 🙂 Cheers! I wish every teacher follows the first quote. In fact it will relate well if we replace teacher with parent too. Thanks for the tag. Will begin it today. Yes, teacher could be replaced with parent in that quote and it will still stand well.